Learn about Openbravo's latest developments and offerings! 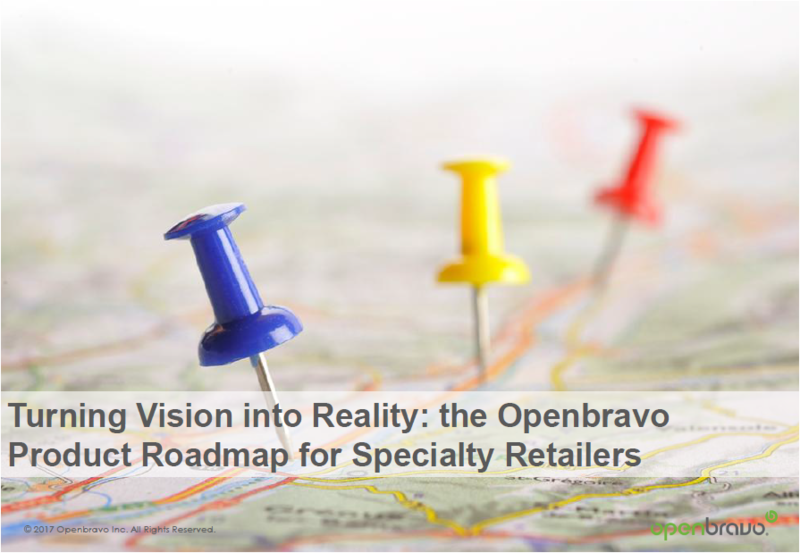 This presentation will describe the Openbravo Strategic Product Roadmap initiatives that are helping specialty retailers achieve greater levels of business agility and innovation. You will learn about the business drivers for Openbravo’s Retail Strategy and understand how these translate into tangible product innovations designed to give retailers a competitive edge. Openbravo already offers many advanced features including e-commerce connectivity, enhanced analytics and features that support omnichannel retail strategies, but new features are currently being developed to further enhance retailers’ capabilities in strategic areas such as advanced inventory management, advanced warehousing and forecasting and replenishment. This presentation will describe the enhancements already delivered as part of our Strategic Technology Roadmap and discuss the product innovations currently being developed for future releases of our software.